A wife is one of the most wonderful treasures one can ever find, Even as the Bible puts it that whoever finds a wife gets a good thing. Every day you leave work or your daily chores tired, she’s always there waiting to give you comfort and make you feel home again. A gesture of gratitude is golden in showing a special place she holds in your heart. 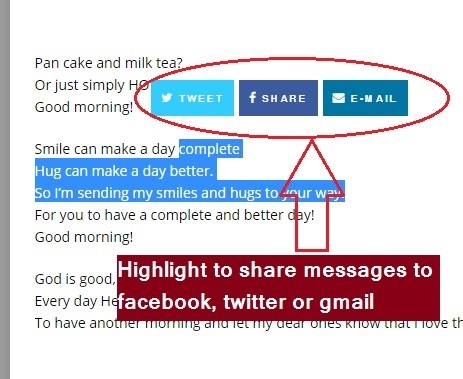 This is important especially as you enter cheerful seasons as crossing over to the New Year. We’ve therefore made creatively written New Year Messages for Wife. Every moment I have been down the valley you’ve been my mountain of hope, Strength and courage to face all that comes my way. 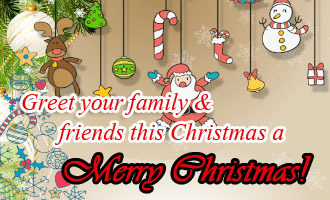 I appreciate you and Wish you a Happy New year and a prosperous life a head. 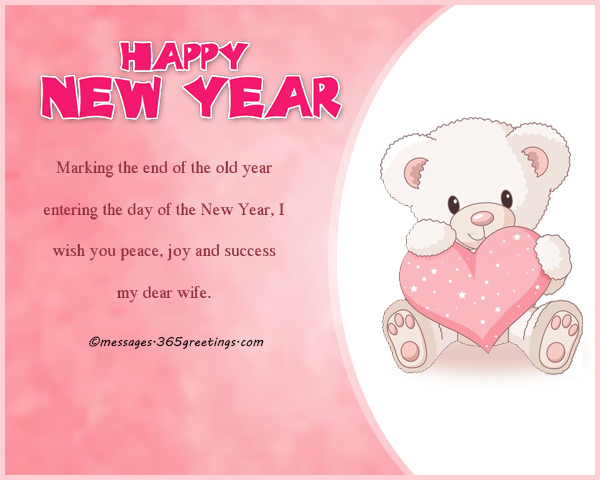 Marking the end of the old year entering the day of the New Year, I wish you peace, joy and success my dear wife. 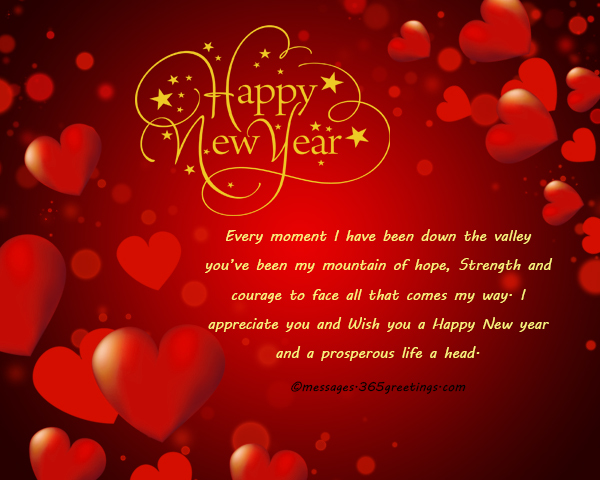 Let us welcome this New Year together, celebrate every joy it holds and get through every sadness it has. 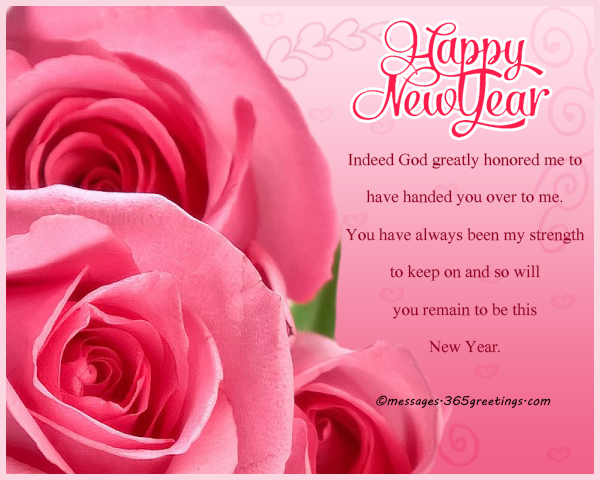 Blessed New Year My love. 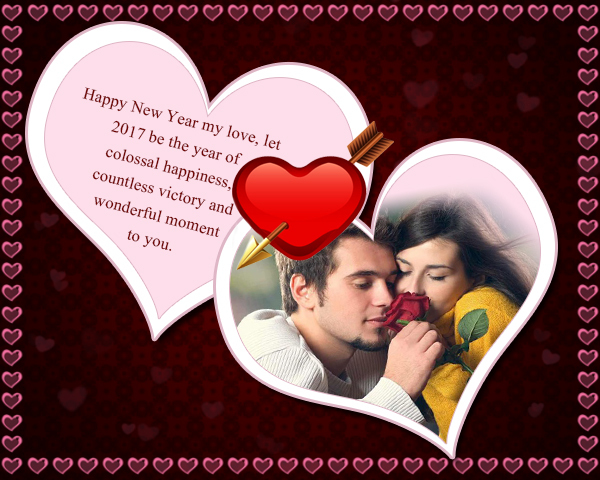 Happy New Year my love, let 2017 be the year of colossal happiness, countless victory and wonderful moment to you. 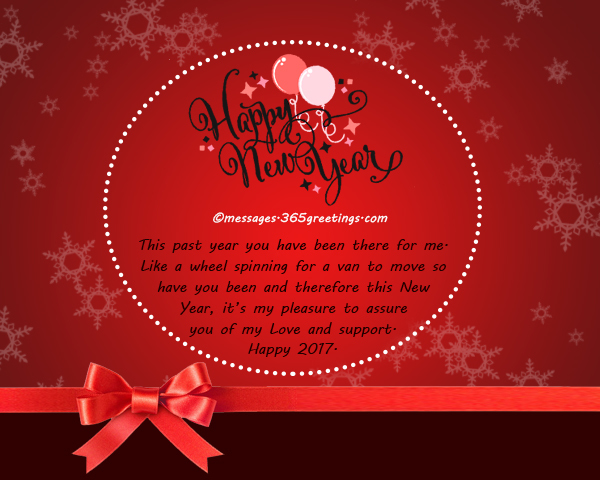 You have given me unconditional love and wonderful memories this past year, 2016 and I know these New Year, 2017 more is to come. Happy New Year! I want to let you know that this New Year my love for you is as hot as a lava flow, as new as morning and as strong as an ox. 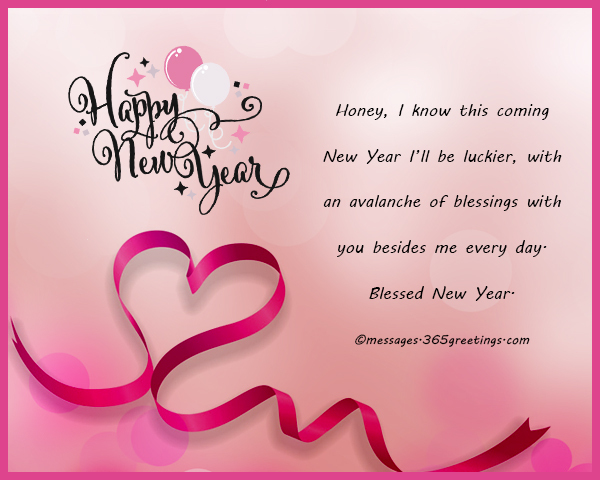 Honey, I know this coming New Year I’ll be luckier, with an avalanche of blessings with you besides me every day. Blessed New Year. 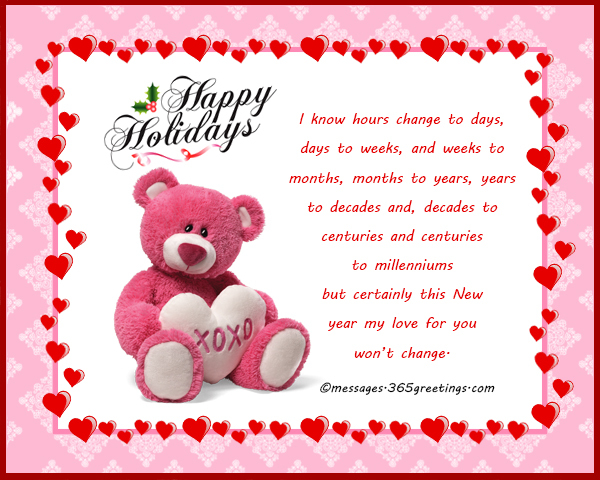 I know hours change to days, days to weeks, and weeks to months, months to years, years to decades and, decades to centuries and centuries to millenniums but certainly this New year my love for you won’t change. In the dark nights you’ve always been my guiding star, always holding my hands and walking side of me. 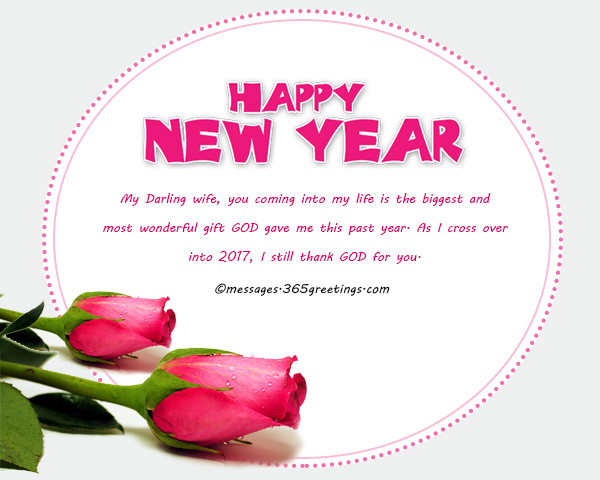 When others have walked away you have always stayed and become my warmth in the ice cold life, Happy New year my sweat wife. This past year you have been there for me. 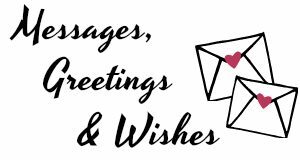 Like a wheel spinning for a van to move so have you been and therefore this New Year, it’s my pleasure to assure you of my Love and support. Happy 2017. As a seal upon my heart is My Love this never breathed before, 2017. 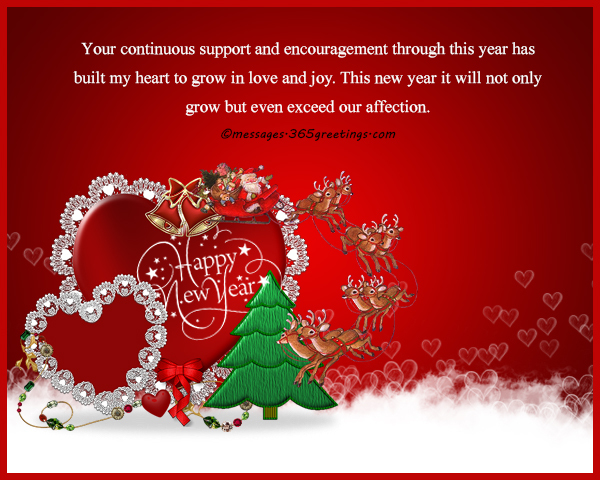 Happy New Year my sweet heart. My Darling wife, you coming into my life is the biggest and most wonderful gift GOD gave me this past year. As I cross over into 2017, I still thank GOD for you. 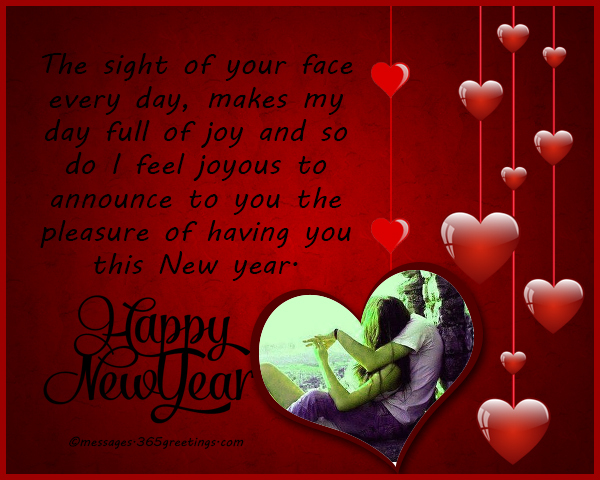 It’s my delight to realize that this coming new year, I still get the chance to be the man in your heart. You very blessed creature of God, dear wife. The sight of your face every day, makes my day full of joy and so do I feel joyous to announce to you the pleasure of having you this New year. Honey, this new year it’s my prayer you have special happiness, with no regrets and bitterness. Happy New Year.